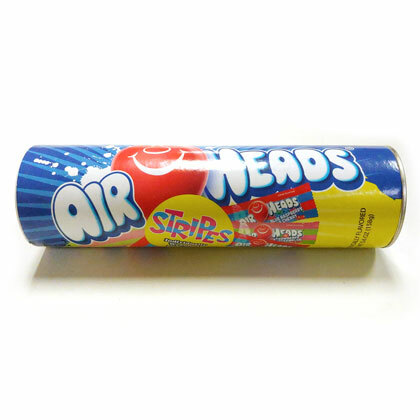 Mini air head stripes in a giant 9" coin bank. There are two stripes of different flavors on every bar! 2.5 pieces per ounce. One 5.6 ounces tube.